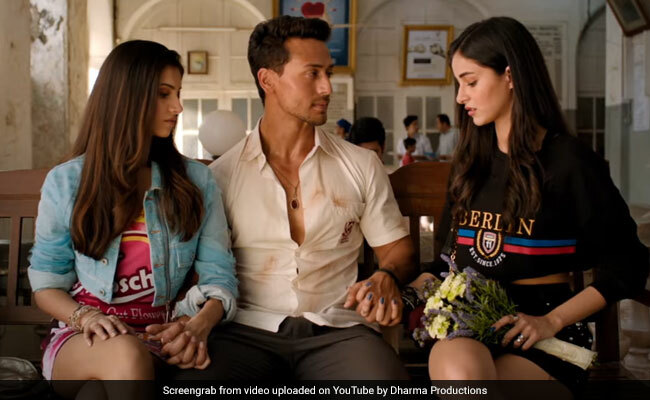 The entertaining bits in the Student Of The Year 2 trailer include Tiger Shroff doing what he does best - full marks for stunts. Student Of The Year 2 trailer is here folks and tastes like a Bollywood Punch drink with the flavours of High School Musical and Glee (just like Will Smith said) and Gossip Girls. The trailer begins with the same-old poor-boy-in-a-rich-college concept - the boy in question is Tiger Shroff, who plays Rohan. His daily ride to college - the flamboyant St. Teresa - is a bicycle. Ananya Panday is the feisty tomboy Shreya - who paints Rohan's bike all pink and calls him "princess." Tara Sutaria, who mostly hovers through the trailer like a charming (read charmed) princess, plays Mia, who just wants "to win the dance competition" but appears to get distracted by Rohan's muscles. Well, the entertaining bits in the trailer include Tiger Shroff doing what he does best - full marks for stunts. "Bharosa kismet se zyadaa mehnat par kare," says Rohan, who eventually finds himself in the midst of a ploy and gets expelled from the prestigious college. Aditya Seal is the 'villain' of this college drama, who is perpetually angry with Rohan for having a dream that sounds something like "ek haat mein girlfriend, ek haat mein trophy." But Rohan knows just the fix - he joins Kishori Laal Chaman Das College and trains like Farhan Akhtar did in Bhaag Milkha Bhaag to win the Dignity Trophy at the Competition Of The Year. The trailer then also switches to happier scenes like Rohan, Shreya and Mia dancing to Yeh Jawaani Hai Deewani redux at a college carnival and signature Dharma romance scenes before Rohan finally telling his rival "Din tera tha... Saal mera hoga." The trailer also squeezes in little room for a love triangle but no worries because in one scene Mia reaches for Rohan's hand, who then reaches for Shreya's hand. Ya.